It has been reported that the Johor state government has collected RM1 million in Road Charge fees since the system was implemented in November. 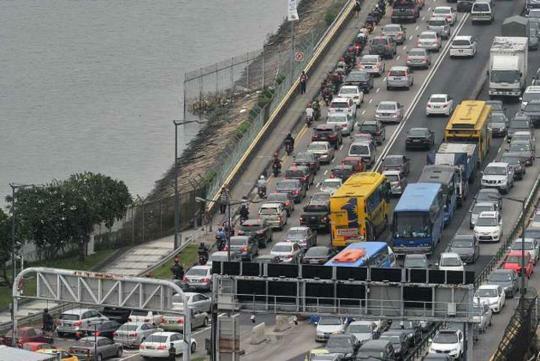 According to The Sun, the law states that the government is entitled to receive 25 percent of the RM20 fee that is levied on Singapore registered vehicles coming into Malaysia either via the Causeway or the Second Link in Gelang Patah. It is said that the government is expected to collect as much as RM144 million a year in revenue via the Road Charge fee. This is based on the a projected figure of around 20,000 foreign registered private vehicles entering Malaysia daily. Also in the article, traffic was reported to have dropped around 10 percent after the Road Charge was imposed in the first week of November. However, the following week saw a return to normal traffic and has stayed so since. For those who aren't aware, the Road Charge is paid through Touch n’ Go electronic payment at passport checking booths on top of the toll charge. Will Singapore lift its Reciprocal Road Charge? Causeway toll changes: is Malaysia's decision revenue-driven?